Dearest readers, allow me to introduce you to a product worthy of gracing one of the pillars in my personal beauty hall of fame. La Prairie’s Skin Caviar Concealer and Foundation is pure, unadulterated cosmetic luxury that packs quality skincare ingredients with flawless coverage, all in some very luxe packaging. What we have here is the ultimate beauty two in one. 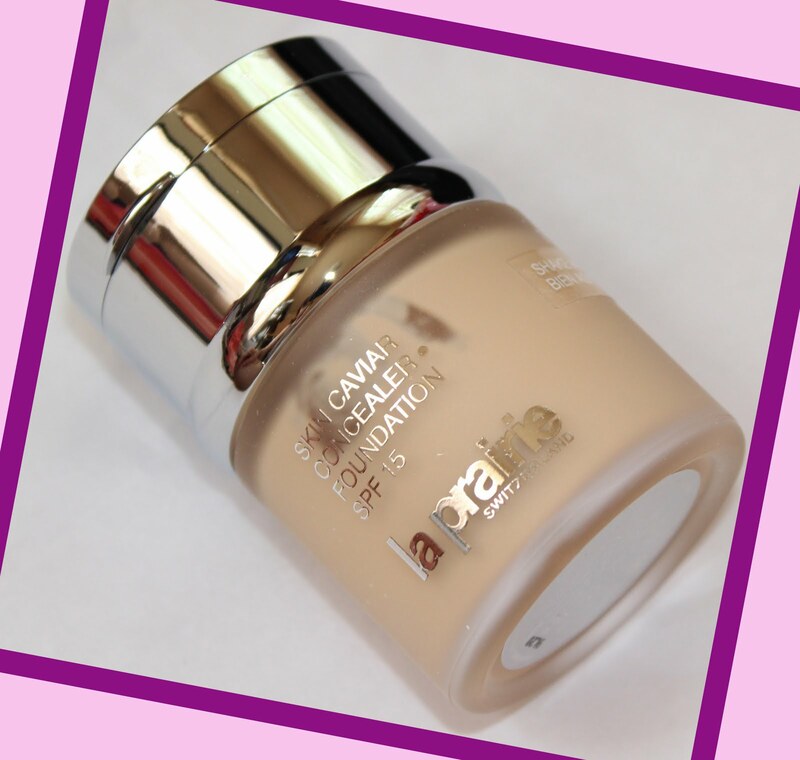 The frosted glass bottle houses the most exquisite foundation, while the cap flips open to reveal an ultra-creamy, long-lasting, full coverage concealer. 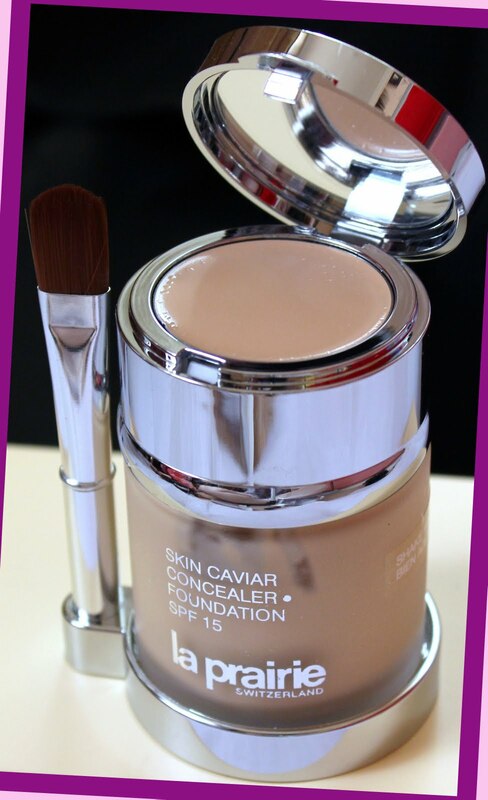 Not content with form alone, Skin Caviar Foundation brings it in the function department as well. It boasts all of the life-changing, skin-loving ingredients contained in my beloved Skin Caviar Face Cream, making my visage so very happy. This product is one of Raychel Wayde’s favorites, and now I am a believer too. The packaging is awe-inspiring, all sleek silver. The weighted stand comfortably holds both bottle and brush, ensuring that nothing gets lost and that the package is even the most glamorous boudoir friendly. 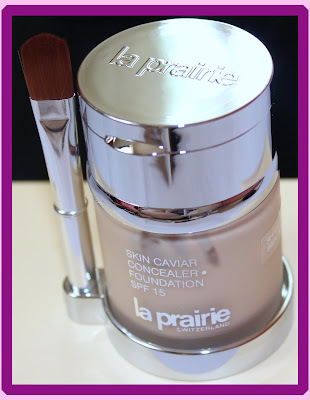 La Prairie Skin Caviar Concealer and Foundation is a product I will file under luxury beauty at its finest. Even though this foundation and concealer duo holds a whopping price tag, the contents within makes it all well worth it. Hi Adina, what shade is the foundation ?